There are several public and private role players in the housing sector, but this article will focus on the use of cloud-based high-resolution satellite imagery by the Housing Development Agency (HDA), which is a public development agency of the Department of Human Settlements. The housing sector in South Africa is quite dynamic, ranging from illegal occupation of land and mushrooming of informal settlements, to rapid property development and natural and man-made disasters affecting housing. Fig. 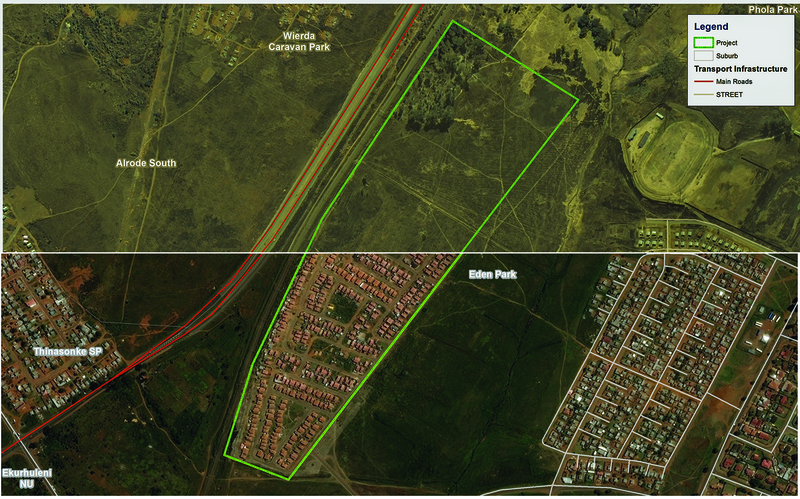 1: The project area of interest, an informal settlement that needs to be formalised (2009). The HDA was established in 2009 in terms of the Housing Development Agency Act no. 23 of 2009. In terms of the act, the organisation has two main objectives: firstly, to identify, acquire, hold, develop and release state, communal and privately-owned land for residential and community purposes; and secondly, to provide project delivery services in the form of planning, capacity support and capability, and project management. These services are provided to provinces and municipalities. The geographic information systems (GIS) unit in the organisation provides spatial information services to the organisation, which includes property mapping and profiling, information systems development and support, identification of well-located land, project support, data and information support, as well as spatial analysis for the purposes of operational and strategic decision-making. To map informal settlements and visual counts of informal structures. There have also been requirements to map areas affected by natural disasters such as fires and floods. Considering the above applications, it is imperative that the organisation needs up-to-date, high-resolution imagery (ideally sub-one metre spatial resolution) that is available for the entire country. The organisation has access to a web mapping service (WMS) from a local service provider that uses a high-resolution mosaic of satellite and aerial images. 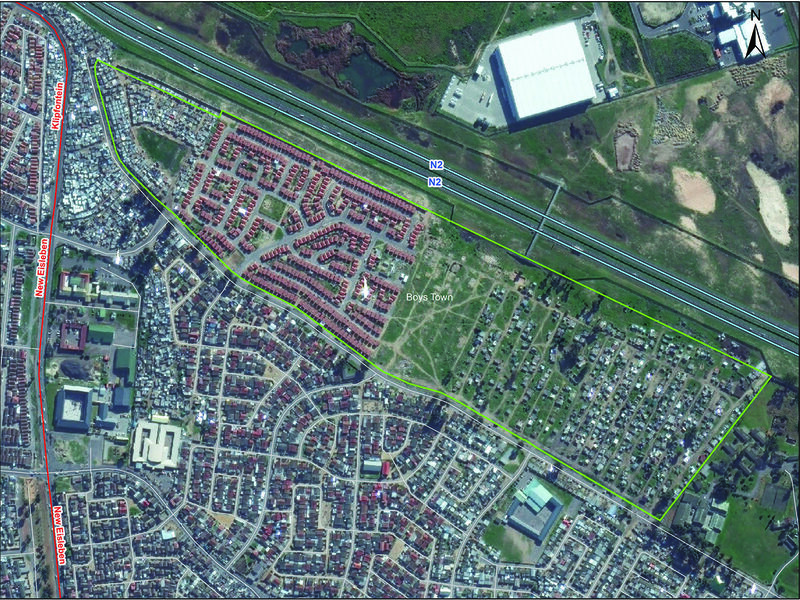 The HDA also uses aerial photographs from the National Geo-spatial Information, as well as satellite images from the South African National Space Agency. In addition to this, satellite imagery basemaps from both proprietary and open-source GIS software are used. Recently, the HDA has also had various discussions with companies that produce drone imagery. Fig. 2: Phase 1 of the project area completed (2015). Considering each of the above sources and what the organisation requires, not all its requirements are met. Firstly (and most importantly), the images that we have are outdated by two, three, or even more years. Secondly, the resolution of data custodians that may have annual availability, does not meet our <1 m preference. Thirdly, although drone imagery achieves great spatial and temporal resolutions, it cannot cost-effectively achieve national coverage. Fourthly, in order for the organisation to use satellite and aerial imagery as a possible source to monitor the progress of projects over a period of time, large hard disk storage would be required to store the imagery. Finally, when asked to respond to the devastating aftermaths of natural disasters, it is difficult or impossible to respond using the HDA’s current sources of satellite imagery. The HDA’s GIS unit had the opportunity to access high-resolution, cloud-based satellite imagery from two international organisations during the past year. 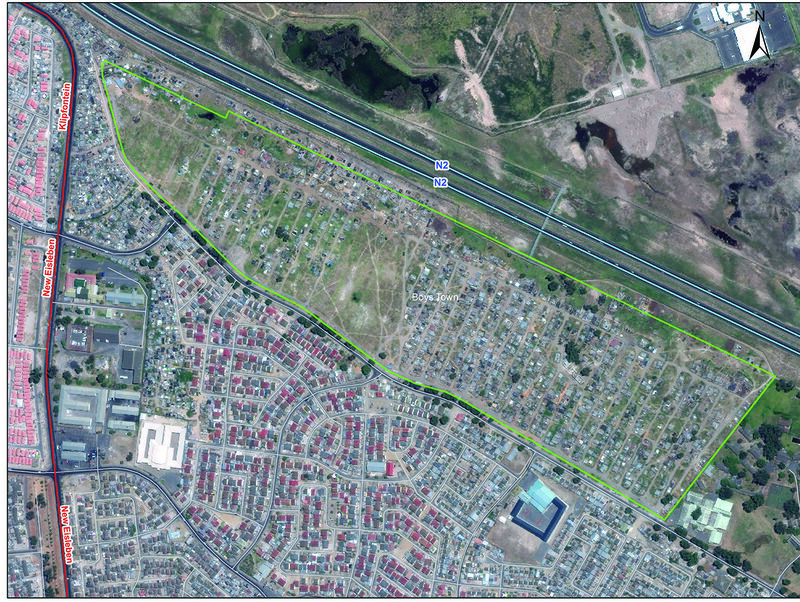 Both service providers gave the HDA access to high-resolution satellite imagery for a period of one month, through plugins that could easily integrate with the agency’s preferred GIS software packages. The experience of using high-resolution cloud-based imagery was phenomenal. The GIS unit was more confident in land identification. It did not have to worry about complaints that its base maps were outdated and not reflecting the actual situation on the ground. The team could map all its projects across the country at spatial resolutions from as high as 30 cm. We could also use the 17-year catalogue of satellite imagery to effortlessly compare reported project figures against actual delivery of housing units on the ground annually, quarterly, monthly and in some instances, even bi-monthly. There was no need to use tile indices to search for and download a specific image on a hard drive or server. The required images were readily available as layers in our software with its corresponding metadata. We could also map settlements and towns that were affected by fire disasters in 2017, allowing us to map the extent of the disaster. Fig. 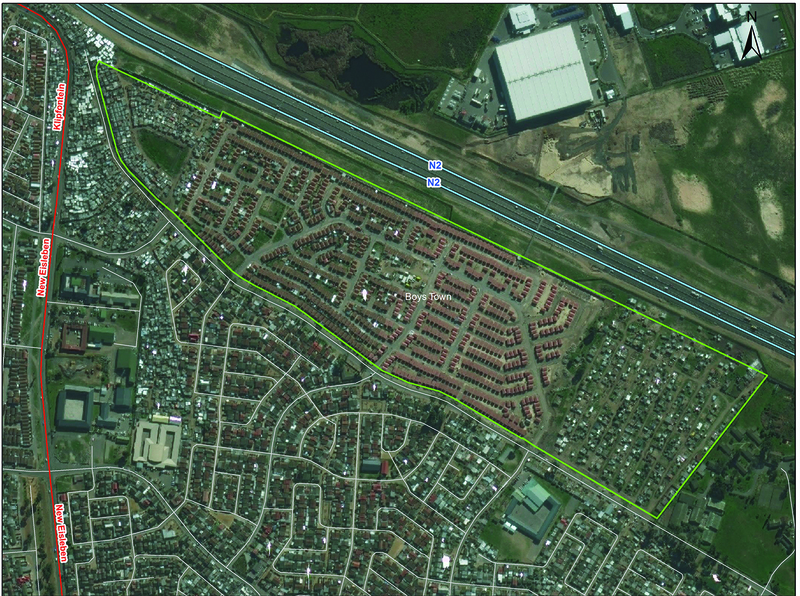 3: Most of the project area has been formalised (2017). Because we only had access to the services for a month, there were numerous other applications that we could have used the services for. We could have mapped and monitored informal settlements growth over shorter periods, count the number of informal structures, as well as formulate methods to enumerate settlements in our project areas. Another application that could have been useful, was the ability to download imagery and perform image classification. A final application that could have been considered, was to test the integration of the cloud-based services with our in-house spatial and business information systems. Figs. 1 to 3 show how the team has measured the progression of one of its projects from an informal settlement in 2009 to a township in 2017. Issues around temporary relocation, protests, lawlessness and violence are some of the factors that influenced the delivery timeframe of the upgrade of this informal settlement. The actual number of houses delivered, as reported on the BI Dashboard, could be verified with high-resolution satellite imagery. Fig. 4 compares a satellite image accessed through the agency’s current WMS (top) to the latest image of the same area that was accessed through a cloud-based service (bottom). Because the current repository of images is outdated, it is very difficult to visualise progress in construction. Although the HDA primarily uses high-resolution satellite imagery for visual interpretation, it would be ideal to have the option to download images for quantitative analyses. This function is already possible, based on the type of subscription one has with the service provider. Furthermore, coupled with high-resolution satellite imagery, automatically processed information can be useful value-added products delivered by service providers. More regular land cover products, building footprints and ultimately change detection solutions would hugely benefit the housing sector. Finally, the distribution of high-resolution digital elevation models (DEMs), digital terrain models (DTMs), and/or digital surface models (DSMs) with high-resolution satellite imagery could lead to advanced analyses in terrain mapping, 3D modelling and the mapping of infrastructure, among other applications. Models predicting flooding in informal settlements based on set parameters would be advantageous in emergency responses. The only downside we experienced while using the cloud-based services was network speeds when connecting to the online image library. Generally, internet speeds in South Africa are still not as optimal as those available in other countries across the world. Therefore, the experience can be somewhat adverse when having to connect to WiFi networks on the latest hardware devices that no longer come standard with network ports. The connection speed on computers that were connected to our local area network, were much faster. Fig. 4: Vertical swipe illustrating that the current imagery (top) does not reflect the progress made in this area. While the HDA does not itself perform image pre-processing and classification, it can anticipate that the readily-available pre-processed imagery as well as cloud-processed remote sensing products could impact the local skillsets required or developed at educational and proffesional institutions. South African institutions and university curricula should be able to adapt to the latest global advancements in this sector, and there are already geospatial companies in South Africa that are processing and disseminating their products from cloud-based technologies. It could also help if these international cloud-based imagery service providers avail level 0 remote sensing products to South African organisations that can benefit from or contribute to the processing of cloud-based satellite imagery. South African government entities can learn from other countries that “the cloud” is here to stay. Whether it is accessing, processing, or hosting data on the cloud, the best possible measures are in place to secure cloud-based services. 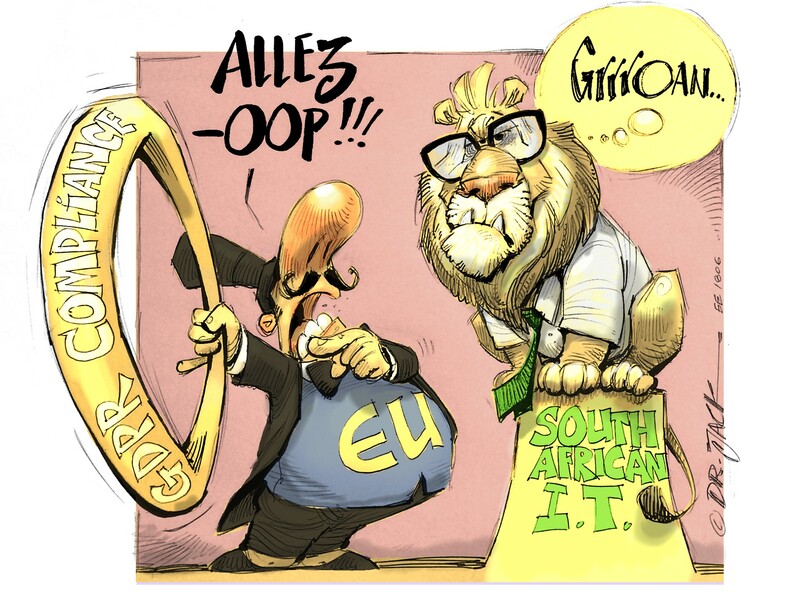 South African institutions should not be restricted to benefit from the possibilities that cloud-based technologies offer. Therefore, policies and implementation frameworks should be addressed at a national level to deal with the concerns from government. The HDA and ultimately the Department of Human Settlements may have its own needs and application of high-resolution cloud-based satellite imagery, but several other national departments may have different needs for the same products. Therefore, it is crucial that government departments work together to find more cost-effective solutions to procure high-resolution satellite imagery across the different departments. There may be a need for mass-production and output of high-resolution satellite images daily, which international companies can help fulfil by continuously improving the quality of its products during pre-processing. The benefits of high-resolution cloud-based satellite imagery have made a significant difference to the HDA’s workflow during the two one-month trial periods that it received from two renowned international companies that produce and distribute satellite imagery. The applications of these services made the agency realise that its current limitations can be solved with a rapid, accurate and cost-effective solution.